Bioactive Protein Utilization Enzymes (Aminogen® and Papain): This protein utilization system promotes optimum protein digestion and absorption, improving uptake of amino acids by the muscle. Take 2 scoops (providing approx. 44 grams of protein) with 8-10 oz. of cold water or any beverage of your choice. Use approximately 4-5 oz of liquid per 1 scoop of powder. Vary the amount of liquid to achieve your desired flavor and consistency. 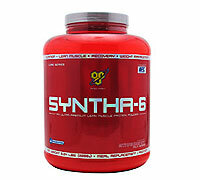 Drink 2-4 servings daily, or as need to satisfy your protein or muscle enhancing requirements. To increase your protein intake per serving and to achieve an amazing milkshake taste, use non-fat or low fat milk. Take 1 scoop (providing approx. 22 grams of protein) with 4-5 oz. of cold water or any beverage of your choice. Vary the amount of liquid to achieve your desired consistency. Drink 2-4 servings daily, or as need to satisfy your protein or body shaping requirements. To increase your protein intake per serving and to achieve an amazing milkshake taste, use non-fat or low fat milk or your favorite soy beverage.